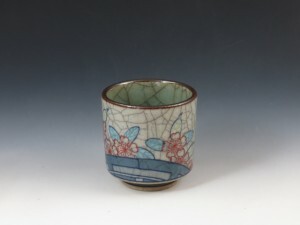 A blue “Irabo” glazed sake cup with wave decoration at the west ! 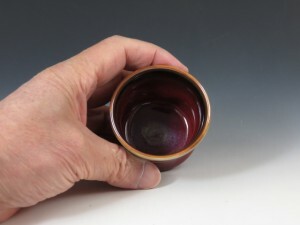 A porcelain sake cup applied with red copper glaze, with a beautiful white ring ! 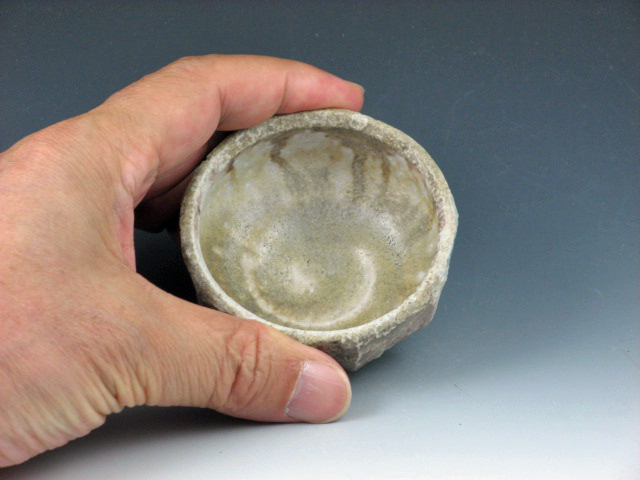 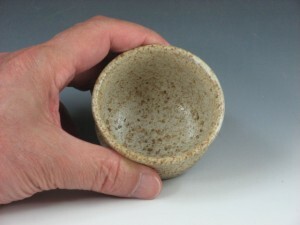 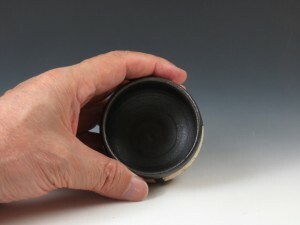 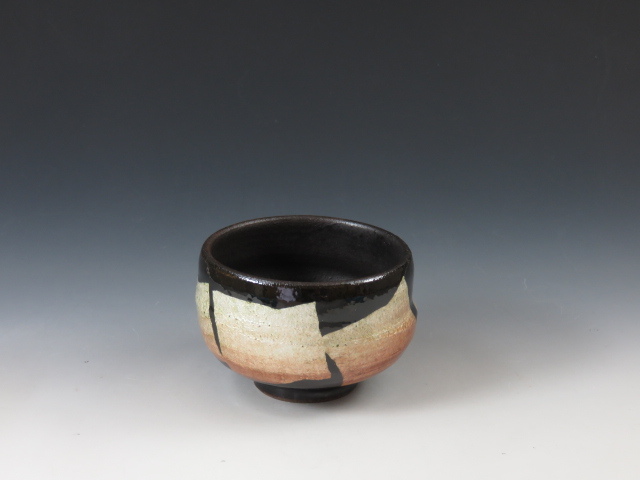 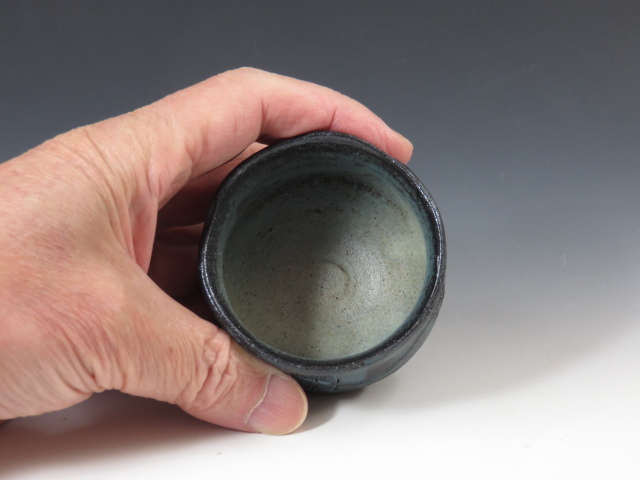 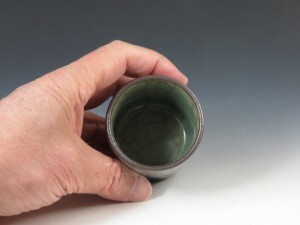 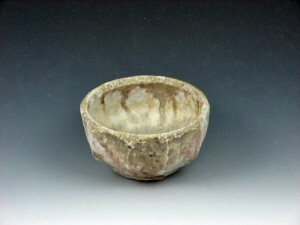 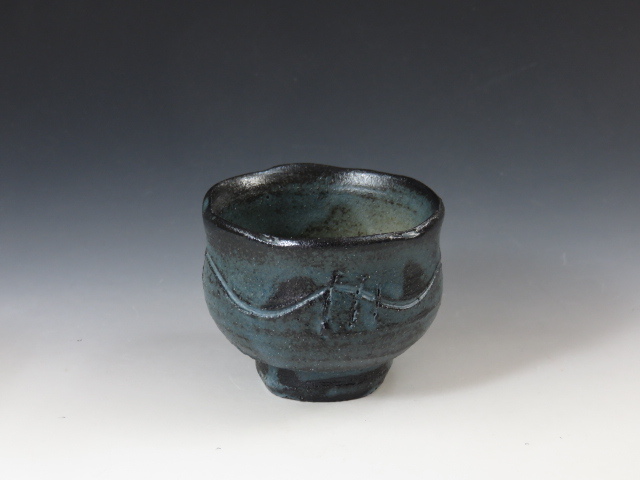 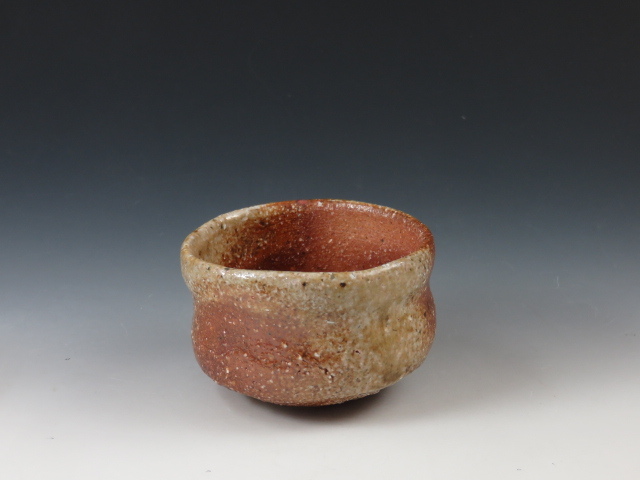 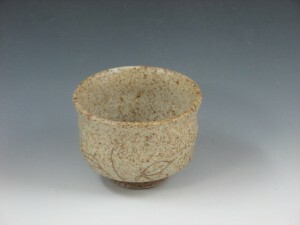 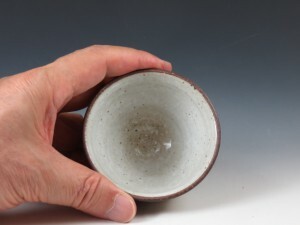 A flattened sake cup with natural wood-ash glaze flow ! A bigger pottery sake cup with Tsubaki Mon (or camellia design) in high-base style ! 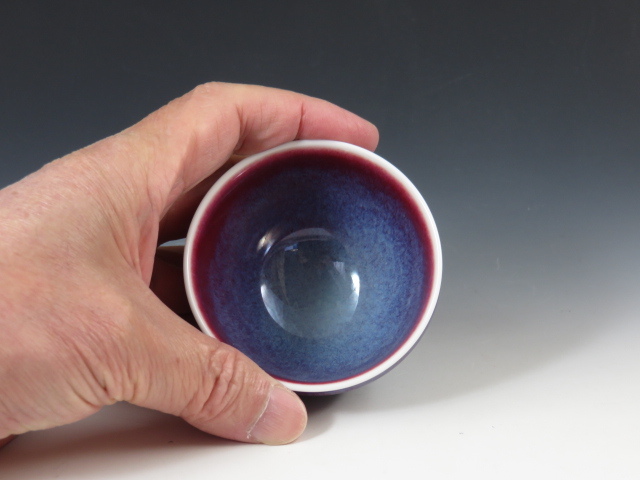 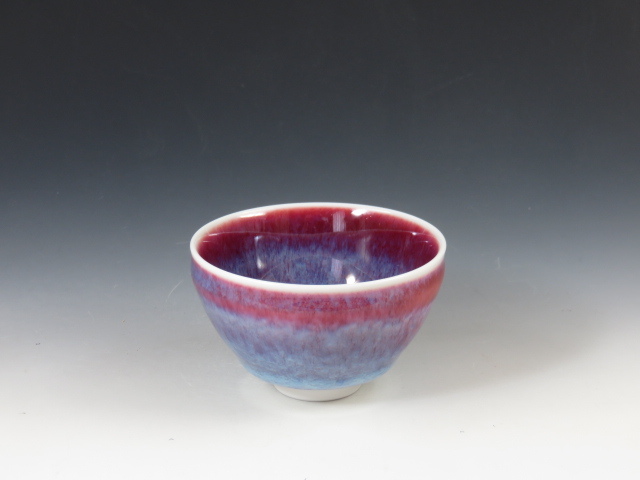 A glossy scarlet sake cup created Shigarak white clay ! 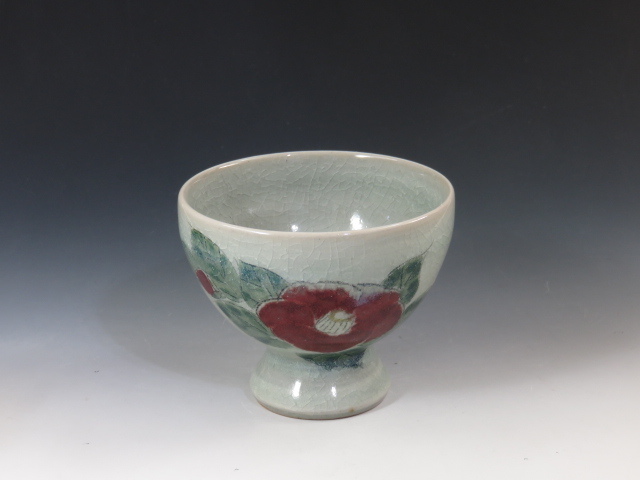 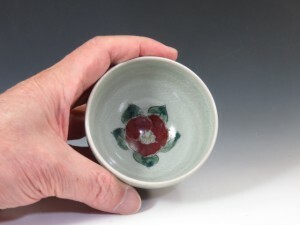 A pottery sake cup with a camellia design over traditional Imari celadon glaze ! A porcelain sake cup with a beautiful gradated red, “Tenmoku Saiun” ! 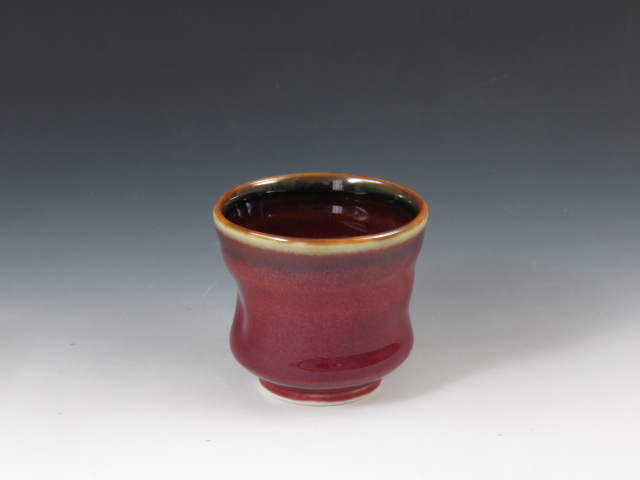 A bright sake cup decorated with traditional silver foil in orange ! 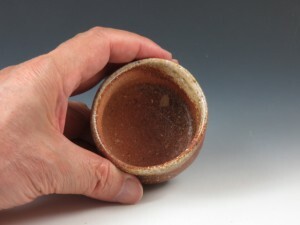 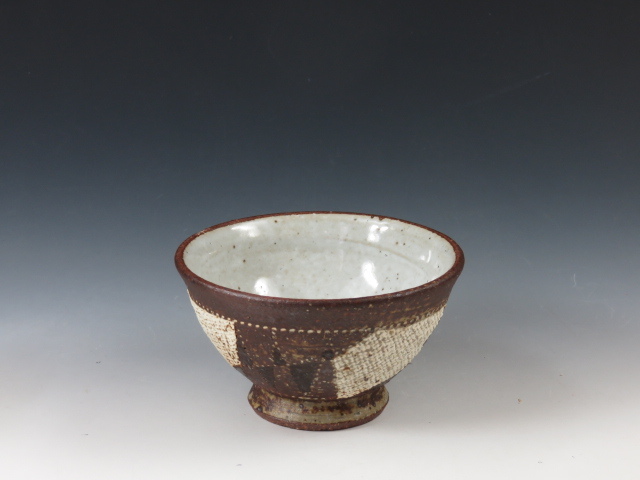 A pottery sake cup with decoration in lines !